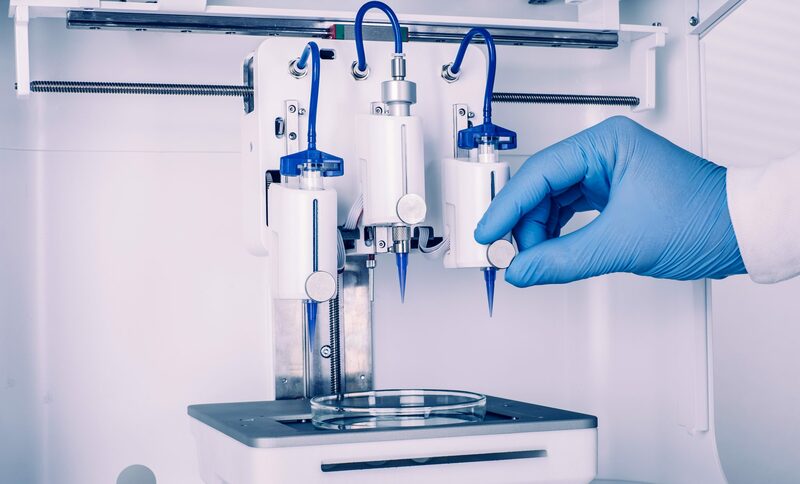 With dual high-power fans producing a powerful airflow through its dual-filtration top, BIO X bioprinter creates a positive pressure inside the chamber. The HEPA H14 dual-filter top retains more than 99.995% of unwanted particles and microorganisms. BIO X is equipped with UV-C germicidal lamps that allow you to run automatic cycles to sterilize the printing environment. Your convenience is our priority. BIO X touch display is fully usable even with gloves on, ensuring a sterile environment. BIO X and its screen are as durable as any lab equipment, and can be cleaned just as easily. 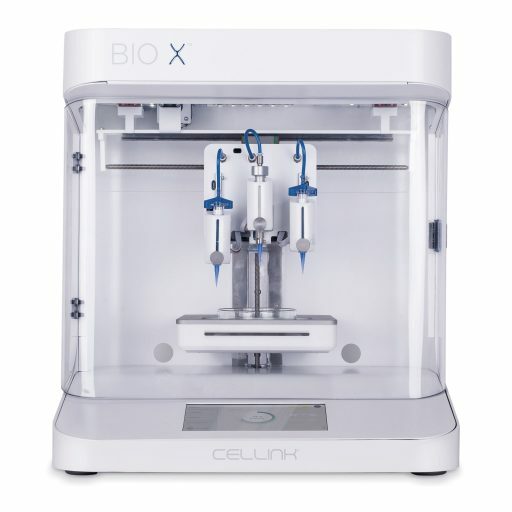 BIO X is the first 3D bioprinter in the world with Intelligent Printheads (iPH), ensuring your research is always on the cutting edge. BIO X printheads are designed with flexibility, beauty and simplicity in mind. The best part is that you can design your own dispensing technologies or methods to use with BIO X system. The possibilities are endless, giving you full freedom in your lab work. Leverage triple-printhead technology to combine different materials and printing techniques that fit your application. – Heated Pneumatic Head (65° C). – Temperature-controlled Pneumatic Head (4-65°). – Photo-curing Tool Head, for UV light in any wavelength. – HD Camera Tool Head. Unfit material? Not with a heat-controlled print bed. BIO X allows you to delicately control the temperature of its print bed, enabling a new level of printing quality. Being able to control the print bed temperature paves the way for using any bioink, no matter the viscosity. Collaboration is the key to success. If you don’t find the tool you need, let us know! Contact us at sales@solusi3d.co.id – we will be more than happy to assist you.